﻿ AnNam Hostel, Da Nang | FROM $5 - SAVE ON AGODA! "A new clean towel everyday was great." Have a question for AnNam Hostel? "The owner and staff are supper nice!" 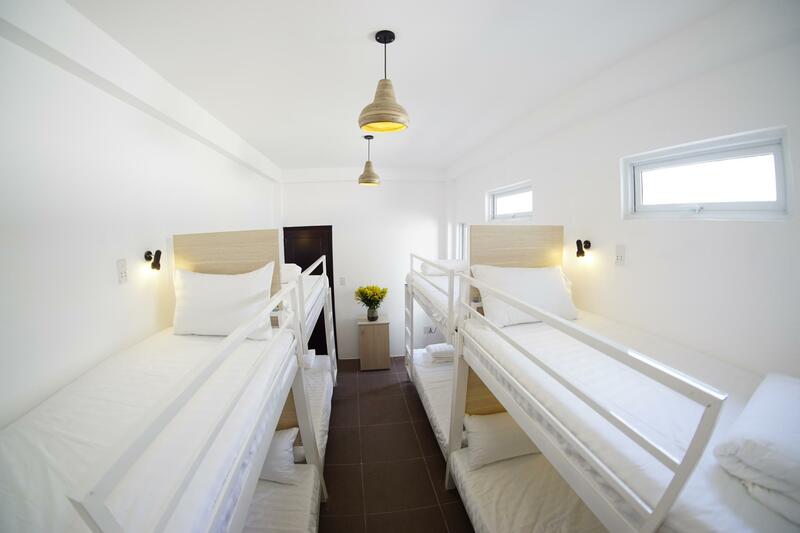 "If you are looking for a place to stay for couple of nights..."
Nestled in the heart of Hai Chau, AnNam Hostel is an ideal spot from which to discover Da Nang. Situated only 0 km from the city center, guests are well located to enjoy the town's attractions and activities. With its convenient location, the hotel offers easy access to the city's must-see destinations. At AnNam Hostel, the excellent service and superior facilities make for an unforgettable stay. A selection of top-class facilities such as free Wi-Fi in all rooms, 24-hour front desk, Wi-Fi in public areas, car hire, tours can be enjoyed at the hotel. The ambiance of AnNam Hostel is reflected in every guestroom. television LCD/plasma screen, additional toilet, carpeting, cleaning products, slippers are just some of the facilities that can be found throughout the property. Whether you're a fitness enthusiast or are just looking for a way to unwind after a hard day, you will be entertained by top-class recreational facilities such as garden. Superb facilities and an excellent location make the AnNam Hostel the perfect base from which to enjoy your stay in Da Nang. "Location is great and I will stay at AnNam just because staf..."
A new clean towel everyday was great. Very clean facilities. No storage lockers in the rooms (not a huge deal to me), but seemed like they had some downstairs. Motorcycle rental seemed a little higher than normal price (130k instead of 100k I’ve paid almost everywhere else). Probably the best $2 (before tax) hostel I’ve said at. Totally recommended very nice staff!!! host is very very kind i think this hostel is best hostel in danang!!! The owner and staff are supper nice! The hotel is located very close to the Da Nang Catherdral and Han market. Good location! The owner is nice. The room is clean and new. It also the facilities. Location is great! It’s only take a few mins walking to the dragon bridge. Well done AnNam. There’re also a lot of restaurants you can choose around hostel. Would recommend the local restaurant opposite the hostel which it’s tasty! Host is really friendly. And I think you get what you pay for. The boss is kind and speaks good English. The breakfast is very simple,not having high expectations. I stayed there two nights and the room wasn't cleaned very well. Typical hostel--except that they get everything just right. Good location with clean and modern facilities. The owners are also incredibly helpful and make sure you have a good stay. Owner and all the staff were amazing, friendly and caring during our stay. The rooms were clean, comfortable, great A/C and quiet. The hostel is a little hard to find down the corner alley but the location is great two blocks from the waterfront and right at the downtown core. The owner even got a traditional Vietnamese breakfast for my friend and I since we had been there a few days. Truly an amazing place with the best staff I've encountered in a hostel. Can't wait to go back!! Très propre, salle de bain privée dans la chambre pour femme, Emplacement parfait. Seul bémol : matelas trop dur. Bon contact avant et à l’arrivée/ anglais un peu difficile avec le staff hors proprio. Pas d’espace commun ce qui enlève le côté friendly ! Dorm des femmes très petit!!! Lit très propre! Petit mot pour la journée des femmes! !Pas de casier ds les chambres mais une petite cas en bas! Ne nous harcèle pas pr excursions! Devrait avoir une petite carte..